Successfully Added FR722B Fishing barometer watch-5ATM waterproof,barometer, altimeter, thermometer, weather forecast (Black) to your Shopping Cart. Fishing barometer watch FR722（New） is designed special for fishing compete, fishing fans. 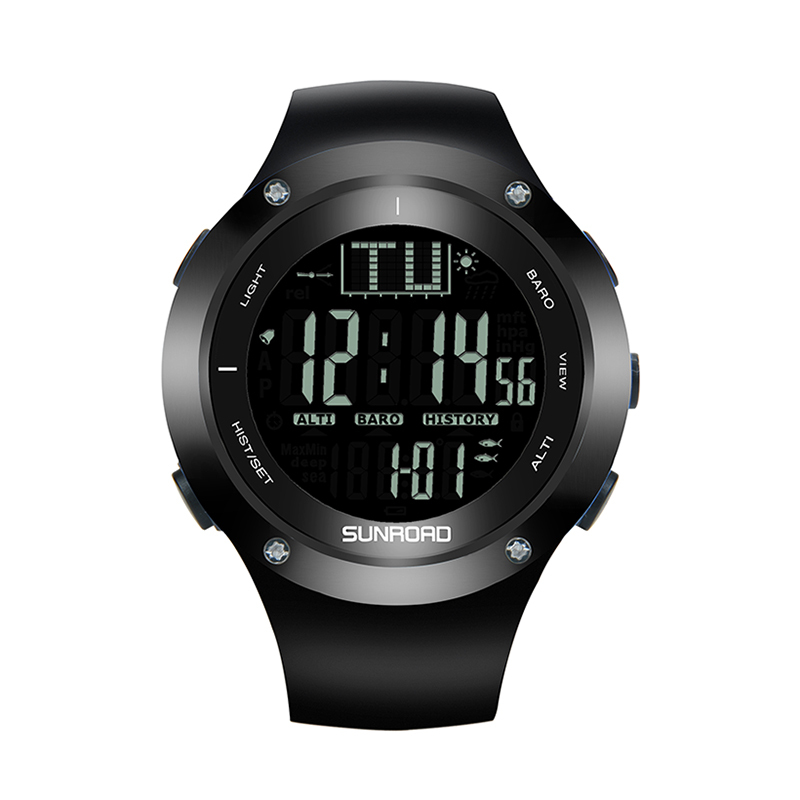 It can track air pressure for 6 fishing places wherever you are, and remind you fishing time smartly and incorporates altimeter, barometer, thermometer, weather forecast and time functions etc. It also has compete countdown, casting frequency management functions. Powerful outdoor gear is here. Just enjoy your fishing, camping, hiking etc. This product is in stock now, we guarantee next working day shipping and offer a 12 months warranty on all our products. Brought to you by the leader in electronic devices as well as wholesale sports watches, Chinavasion..